A multipurpose dish constructed using recovered materials, from both used footwear and footwear manufacturing scrap. Perfect for keys, coins, USB's or even bars of soap. Available in three finishes; blue, yellow and raw. 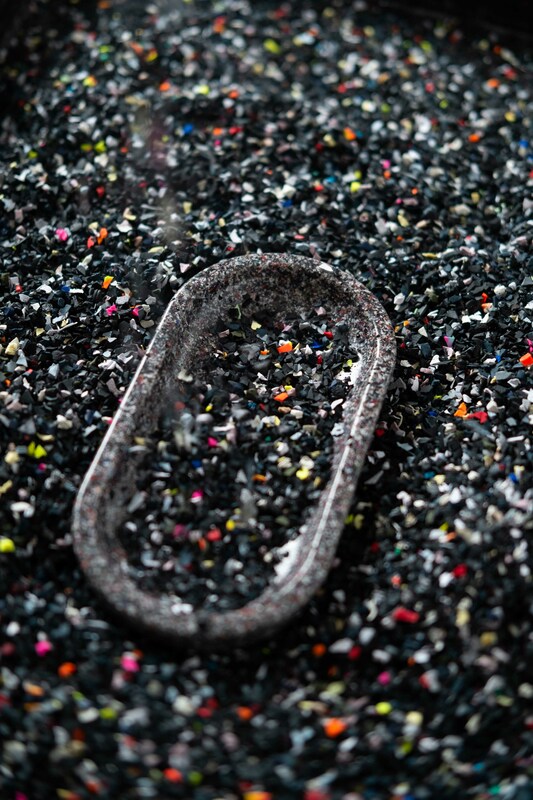 Grind composite; 60% footwear waste rubber granulate 40% binder (part biological, part recycled content). Made in a composite constructed primarily of materials recovered from used footwear and footwear manufacturing scraps. This is a material we are currently still developing, and is our first product released in the composite. Currently available in three colours; blue, yellow and raw. 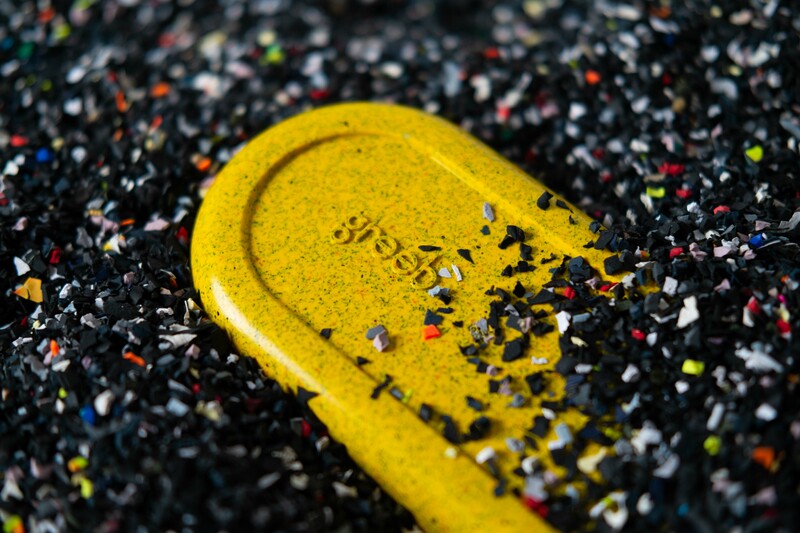 Due to the nature of the rubber granulate, grain colour may vary - this is dependant on what colour footwear has been recycled, often dictated from past and current trends. 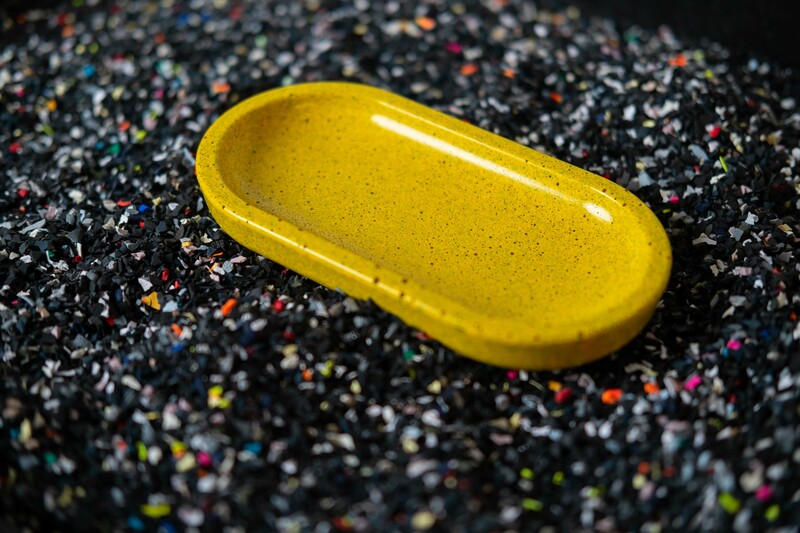 For the colour tinted products a small amount of pigment is added to the composite. Every dish is made in the UK. 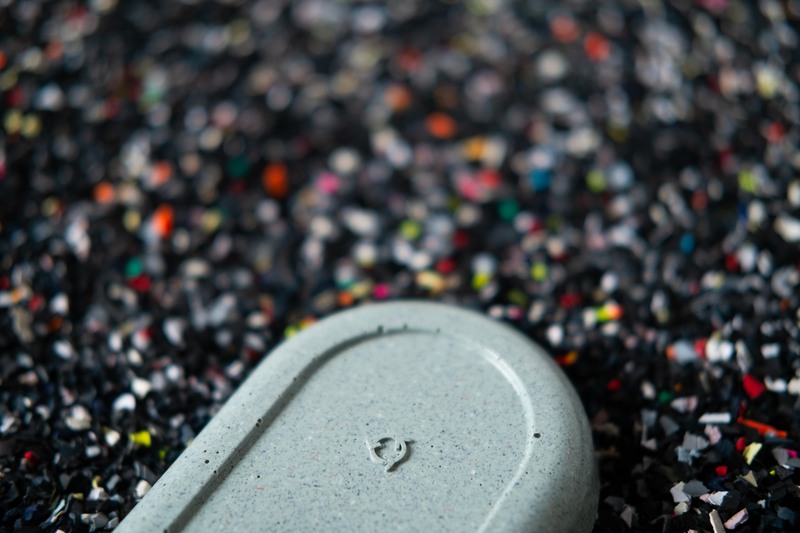 Although we do not anticipate the need to recycle these products for many years, at some point they will have an end-of-life, being a new material we are working on developing a recycling/ end-of-life process. We will take back any of our products committing to our closed loop system. Each dish is constructed from 60% content recovered from used footwear and footwear manufacturing scraps.